Cloud Nine® launched in 2010 in the UK and dove straight into the professional salon industry. 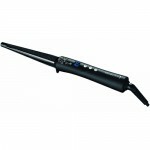 They initially started as true rivals to GHD and many salons adopted Cloud Nine® products quickly. They’ve made a real impression on the market in relatively few years and have been merrily winning awards ever since. If you’re the kind of person who really values quality and dedicated manufacturing, then this is one for you. Getting a more affordable product can frequently be a great idea but there is also sometimes a compromise. This wand may not be cheap, but it won’t make you compromise on anything. 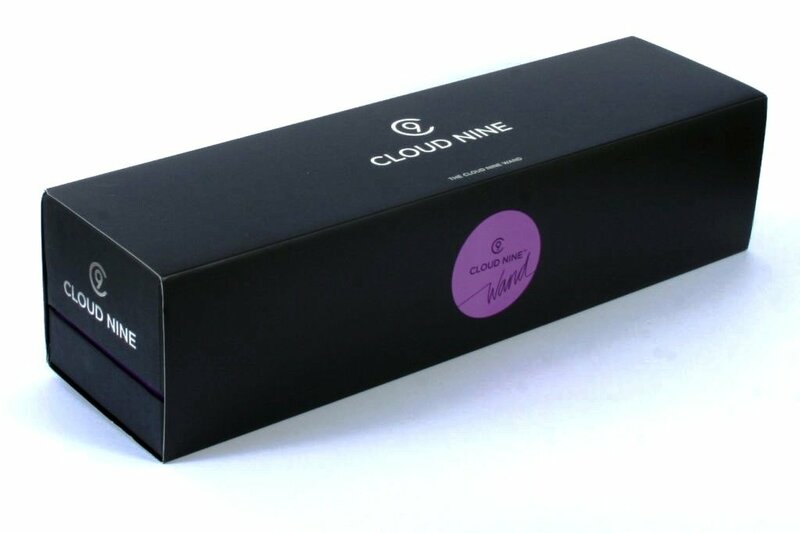 Cloud Nine® launched with something to prove and they’ve certainly proved it. First impressions are class, style and quality before you’ve even opened the box and it’s a really nice box. 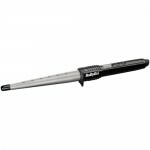 The wand itself is sleek, black, tapered and a no-nonsense design. It has three heat settings which are evident by the lights labelled high, mid and low. A favourite thing about this wand is that it has an intelligent hibernation feature that sends the wand to sleep, cooling it down, when it’s been on for 30 minutes without being used. Most hair appliances have a set 60 or 72 minutes but the intelligent function on this one is just so much better. 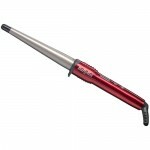 The tapered barrel gives you the freedom to create pretty much any type of curl from small and tight, to big and bouncy. The smooth barrel allows hair to move easily without breakage and leaves it with an impressive shine and lustre. The material has been created using a ‘secret ingredient’ according to Cloud Nine® and whatever it is, hair does react well to it. The heatproof glove is high quality and trustworthy, giving you the freedom to take your time to create perfect curls. This wand also comes with a heat guard that you can slip over the barrel when not using it but it’s still hot – this gives it an extra safety feature. 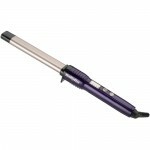 Investing in a Cloud Nine® wand is similar to investing in a pair of GHDs when they first came out. Yes it’s a lot of money, but they do work for it and it is quite obviously a head above the rest. Instead of being designed and manufactured down to a price, it has had technology and quality poured into it to make not the cheapest usable product, but the best product. There are considerably cheaper options that will give you great, long lasting curls and if you really can’t stomach the price of this wand, there are others that will suffice. 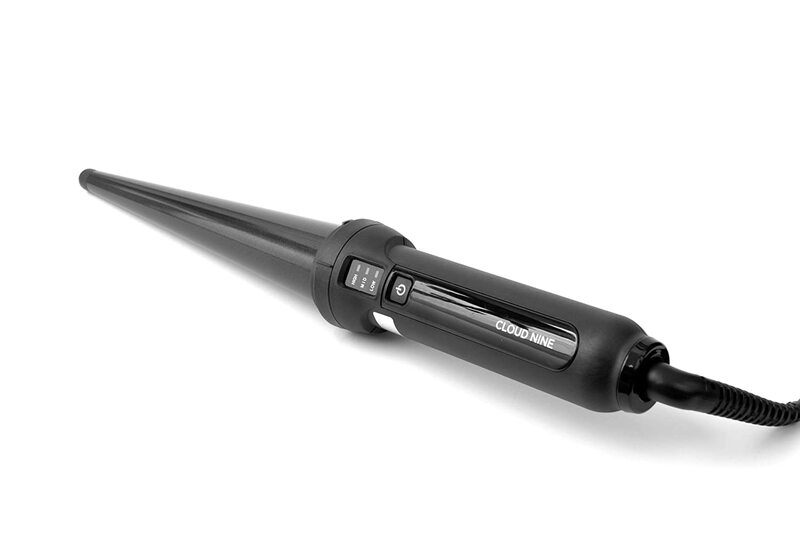 If you are looking for a single curling wand that should last you a long time and remain effective and reliable – then this one is designed to be the best of the best so it may well be a worthwhile investment. It’s kind to any hair type and is easy to use.